First, we would like to thank you very much for your numerous investments and your direct feedback! Many suggestions in the comments section helped us progress and will enable us to further optimize our business. Now enjoy reading this week's news! The First noDNA Robot Is Finally Here! Today, we have a world premiere for you: Our first noDNA product is finally available through our store! We are proud to present a 40 cm tall robot that may easily be programmed, has an open-source controller, and is shipped as a completely assembled device (to enlarge, please click on the picture). The robot includes 17 intelligent servos, a large battery, and a USB and wireless interface. It is able to dance, fight, do a handstand, walk up and down stairs, and learn new moves (through motion capture). As the robot is compatible with Arduino, one of the most popular robot platforms, all compatible sensors, e.g., light, infrared, and acoustics sensors can be added through additional modules. 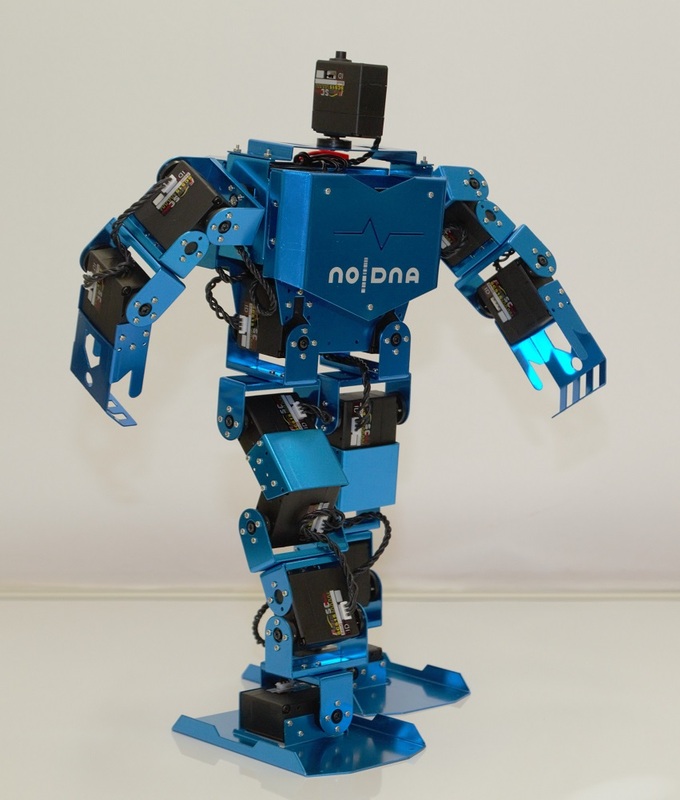 The modular structure of the first noDNA robot perfectly suits researchers' needs because they need robots that may adapt to new requirements and tasks in a fast and efficient way. Our experience gained in the last years shows that most educational institutions and the research sector in particular make most of their orders toward the end of the year. In addition, we receive significantly more orders because of Christmas sales, which lead to an increase in sales of robotics kits – a very popular Christmas present. In order to meet the sharp increase in sales as every year, we have already increased our stock of the most popular components and are working hard to add the products by our new partner Aldebaran Robotics to our product range. 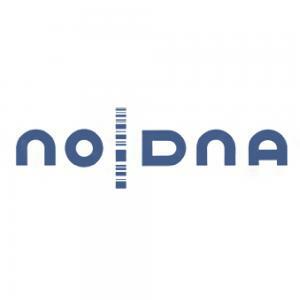 Many robotics enthusiasts are already familiar with noDNA, especially because we are their first point of contact for anything related to robotics. This is also the reason why many of our customers recognize and trust the noDNA brand; we will strengthen this brand image through our own products in the future. Production will take place solely by renowned manufacturers because we want to ensure that our customers receive high-quality components at all times. At the same time, production by other companies will require less equity and will enable us to benefit from the expertise of manufacturers that have been acting as suppliers for famous brands like Robotis, Pololu, and Phidgets for many years. Together with you, we want to keep writing our success story!